When it comes to listing famous watchmaking countries, most people could name Switzerland, Japan and maybe Germany or France, if they had only a passing interest in watches. However there is one region that arguably surpasses those in terms of the level of fanaticism of its collectors, and that is the former Soviet Union. Russia and the USSR have a rather rich horological history, with a large number of manufacturers in operation over quite a long period of time. What most of the brands lacked in high end mechanics and expensive hand-finishing compared to their European counterparts, they made up for with an astonishing array of unique designs, robustness and hearty doses of utilitarianism. 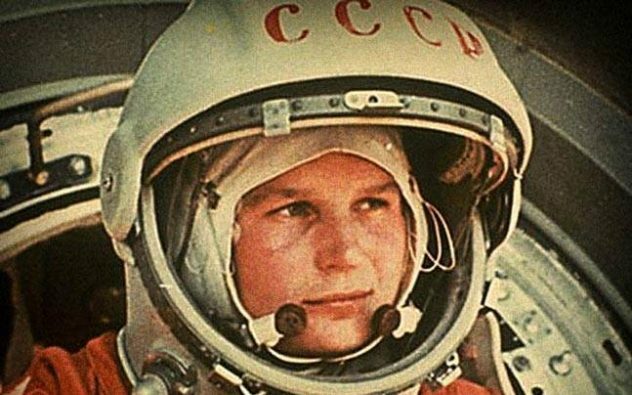 Soviet-era watches scored wins for the USSR during the Cold War too, as it was a Russian brand Strela (also known as Poljot) that was first wristwatch to be worn on a space walk; and Yuri Alexeyevich Gagarin’s Sturmanskie-branded piece that took the honours as the first watch actually taken up in orbit around the Earth. Staying in space, Omega is of course famously associated with the Moon, touting their iconic and extremely successful Speedmaster as not only the “first watch to be worn on the moon” but more specifically “the first and only watch to be worn on the moon” (assuming you believe the moon landing actually happened….). 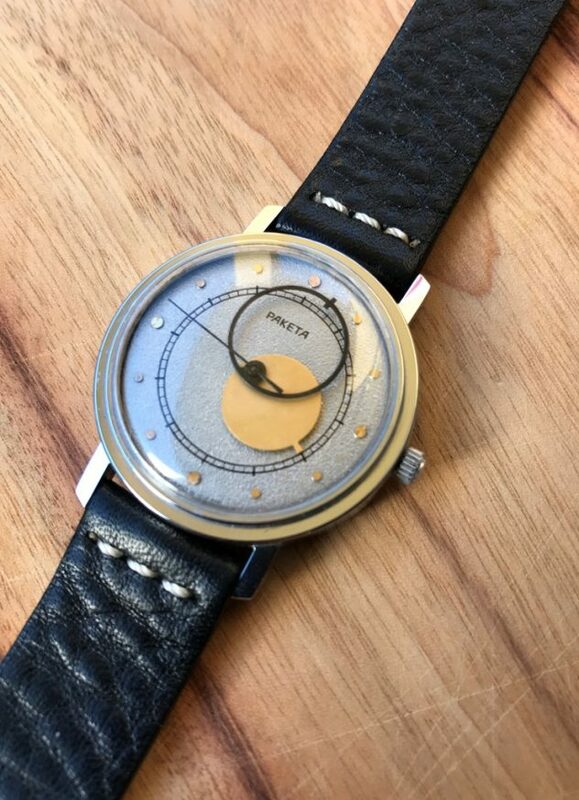 However, for this article I will discuss a Soviet watch linked to the Moon in very different way: the Raketa Kopernik. Raketa, meaning ‘rocket’, is claimed to be a part of Russia’s oldest factory, the Petrodvorets Watch Factory founded in St Petersburg by Peter the Great in 1721. The Raketa brand first appeared in 1961/1962. During the era of the Soviet Union, Raketa primarily produced rugged watches for the mighty Soviet military (as did many other brands from the motherland), although mechanical timepieces for civilians were also produced in huge numbers. 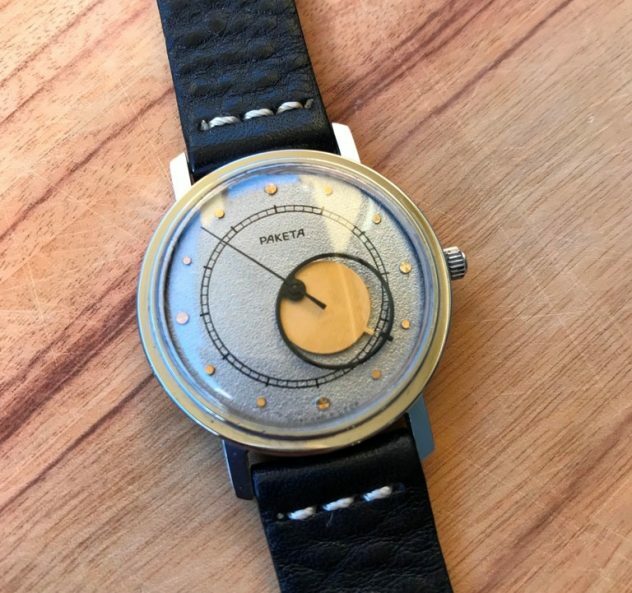 The 1980s Raketa Kopernik is named in honour of Nicolaus Copernicus, the Renaissance-era Polish mathematician and astronomer who formulated a model of the universe that placed the Sun rather than the Earth at the centre of the universe. The unique design of the Kopernik represents the Sun and the Moon in a simplistic but clever way – the hour hand is a golden disc, being the Sun, and the minute hand is a black ring, being the Moon. Hence this watch is also sometimes known as the ‘Sun and Moon watch’. Once an hour every hour, the hands momentarily overlap and effectively form an ‘eclipse’. This is one of those watches that you glance at not only to tell the time, but just to see if an ‘eclipse’ is imminent. 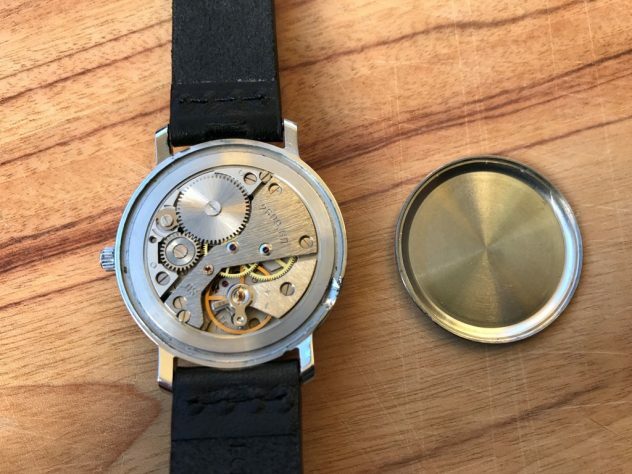 The surface of the dial itself can be described as grainy (much like the surface of the moon perhaps? ), and the golden applied hour markers catch the sun’s rays rather nicely indeed. Beating away inside is Raketa’s own manually wound calibre 2609.HП, a reliable and accurate mass produced movement with an impressive 45 hour power reserve out of the factory. The Raketa Kopernik, a real Soviet design classic, and worthy of being known as the other Moon Watch! actually, this is kind of cool. any recommendations where to acquire one? They can be found pretty easily on eBay in a wide range of versions. It pays to ask questions of the seller and ask for extra photos, especially of the movement. Another source can be the various online watch forums where fellow watch enthusiasts list pieces for sale or trade. Thanks! I have been researching this one since I saw your article. I do believe I’ll get one, when I find the right one. I never really looked at vintage pieces much before, but now after some research, this hobby may take an unexpected turn. That’s great to hear. I’d welcome you to the always interesting world of vintage watch collecting!